What is a fiduciary and why do I care? What is a 401(k) plan and why do I care? Employer Match – Most (but not all) employers offer something call an “employer match,” up to a certain dollar or percentage amount of what the employee contributes. For instance, your employer may offer a dollar for dollar match of the first 6% (this is the most common matching program). This means if you make $100,000 per year and save 6% ($6,000) your employer will match that $6,000and give it to you in your 401(k) account. So, by saving $6,000 of your own money (from your salary), you actually are saving $12,000. This isn’t an unlimited benefit though. Uncle Sam does have a rule stating that you cannot put more than $18,500/year into your 401(k). Tax Advantages – A 401(k) plan is named after the section of the tax code (surprise! Section 401(k)), in which it is found. When you elect to save money into a 401(k) plan, it is called a “pre-tax” contribution. This means you do not pay taxes on the money you earn before you contribute it, whereas you would if you were just using a bank savings account or certain IRAs. The other large tax advantage is that the account grows tax free until you start taking money out of the account. Over the decades you save for retirement, this can make a tremendous difference in the total amount available by the time retirement finally arrives. Portability – Unlike a pension plan or some other retirement plan options, your 401(k) plan is yours. In the event you leave for another job, are fired or laid off, or die, your 401(k) plan remains your (or your estate’s) property and goes with you. If/when you leave your employer, you can roll the plan into an IRA or sometimes into your next employer’s 401(k) plan. Also, there is nothing to worry about if your employer goes out of business. The money in the 401(k) is still yours. The plan likely will be terminated, but you will be able to roll it over into an IRA without losing anything. The money is not your employer’s money, it’s yours. Automatic Savings – There is a reason why the IRS requires employers to deduct your taxes, social security, and Medicare from your paycheck before you ever see it – to make sure it happens. Very few people have the discipline to deposit their paycheck and then move money to savings (or the IRS). For some reason there’s always a “reason” to spend that money now. Whether it’s to pay bills, set aside for a vacation, or something else, retirement is just too far away to worry about now. Then people wake up and realize they just missed a decade of compounding interest. There is another type, just as there is with IRAs, and just like a Traditional and Roth IRA, there are Traditional and Roth 401(k) plans. 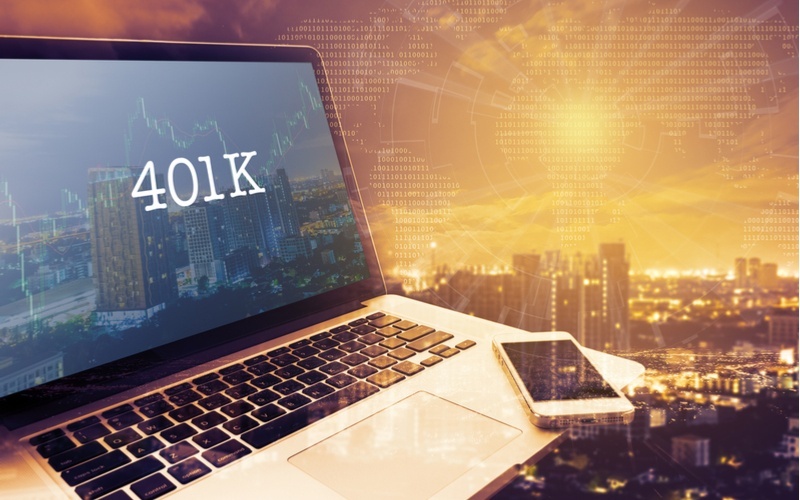 The downside to a Roth 401(k) is the same as it is with a Roth IRA, wherein all contributions are madeafter you have paid taxes, rather than with pre-tax dollars.